Coffee is grown in over 60 tropical countries, with most of it still produced on small family farms, but adding up to tens of millions of acres. Coffee growing supports 25 to 100 million people around the world. In the last decade, a huge worldwide surge in demand for coffee has had two profound consequences. It caused a rapid worldwide expansion in production, largely of cheap beans that flooded the market and contributed to plummeting prices. And in the rush to increase production, it caused a shift from traditional, sustainable coffee growing methods (with coffee plants grown in the shade of diverse native trees) to intense monocultures that require large inputs of fertilizer and pesticides which bring about a loss in biodiversity and quickly deplete the land. If a coffee is certified as Bird-Friendly by the Smithsonian Migratory Bird Center, it is grown under the most stringent environmental standards of any certification system, and it is also required to be certified organic. If you see this seal, it is one of the best assurances that the coffee was grown with biodiversity and sustainability as top priorities. Organic certification, by the USDA and its accredited agencies, is an important indication that many (but not necessarily all) chemical inputs have been eliminated or reduced. Generally, coffee that is organic is grown under at least some shade cover (which preserves biodiversity). Rainforest Alliance also has environmental criteria, but the standard has been seriously watered down in recent years and this certification is no longer assurance that coffee was grown under shade or in a way that is beneficial to birds or wildlife. Also, coffee may carry the seal and only contain 30% certified beans. There are also many different cultivars of arabica coffee. “Bourbon” and “typica” are older types that need at least some shade, so seek those out. “Catuai”‘ and “Caturra” are varieties that are often grown as sun coffee. Learn more about botanical varieties of coffee. 4. Roaster. Buy coffee from a small, specialty roaster. A good roaster develops a relationship with the farms and co-ops that grow their coffee — it’s in everybody’s best interest for the coffee to be grown sustainably. The farmer gains by having a reliable buyer and a safe, healthy environment, and the roaster gains by having a reliable source of quality coffee. A conscientious roaster will have very specific information on the precise origin of each coffee it sells, and you can determine how the coffee was grown to guide your purchase. My list of recommended providers of sustainable coffee is at the bottom of every page here (click to refresh, there are more than what shows at one time; criteria for inclusion is here), with more on my interactive map of roasters. A list of online retailers that regularly sell Smithsonian Migratory Bird Center Bird-Friendly®-certified coffee is here. 5. Price. This is nearly a given: cheap coffee is not sustainable. Not for the farmer, not for the environment. People who are used to paying less than $5 a pound for grocery store coffee shudder at the idea of paying $10 or more for a pound of coffee from a specialty roaster. Ounce for ounce, it’s still cheaper than a good bottle of wine or scotch or many other beverages. And trust me when I tell you — you get what you pay for! A year ago you couldn’t have told me that there were so many incredible, distinctly unique coffees out there, an entire world to explore! We’ve only scratched the surface in our reviews. 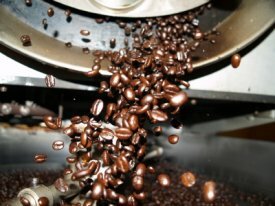 Learn more in the corporate coffee category, in particular about the coffee crisis and why you shouldn’t buy coffee from the big commodity coffee providers. Coffee drinkers have the potential to make a huge impact on the environment and economies of coffee growing nations. If we understand the stakes, we can make a significant difference, and enjoy our favorite beverage at the same time! Thanks for the handy checklist. I'll keep it for future reference and refer to it when we're in the local Wild Oats.